We had already developed our own highly accurate fertiliser spreaders as an answer to the crude devices that were then available to the arable top dressing facet of our industry. All that remained to be done was to raise the performance of these in order to be able to deal with the generally much higher application rates required for dealing with forestry fertilisation programmes, and the application of compound fertilisers to improved mountain pastures; trials work for these was carried out in conjunction with a private forestry management organisation. 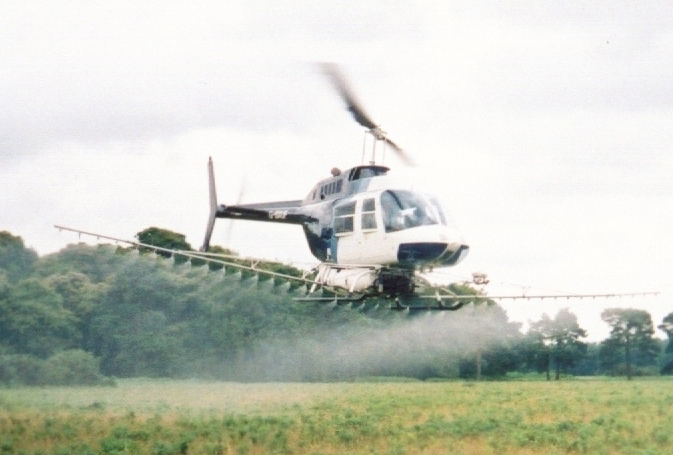 The result was a helicopter mounted fertiliser-spreading system that had both high output performance allied with a high level of accuracy/evenness. 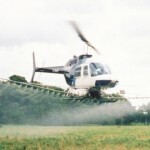 Later, we developed the highly specialised aerial lime spreading devices, these being trialled by us at Pwllperian Experimental Husbandry Farm.